rifle deck and action pistol bays. Sign up time is 9:30 am, the match will start at 10:00 am. Shooters may use ONLY ONE RIFLE (no switching rifles during the match). The rifle MUST be an AR style rifle, ANY caliber is OK.
A scoped AR is recommended. 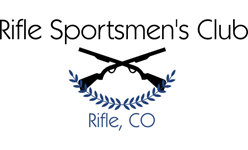 Equipment rules: Bipods are ok for 2 stages, NO SANDBAGS, SHOOTING STICKS OR OTHER ARTIFICIAL RESTS EXCEPT what is on the range and given to you. You MAY use a backpack as a rest on some stages. Rangefinders are OK. A shooting sling MAY be used on 2 stages. shooter spots his/ her own misses for aiming correction through the riflescope. There will be no time limit, the score is the total point value of hits. physical issues we will allow alternate positions. Dress warm...it will be COLD!!!!! !